This mortgage contract clause will require repayment of the loan's principal and interest (i.e., the full loan amount) upon default. "Default" is any type of breach. An adjustable-rate mortgage comes at a low initial rate for a set period of time. The rate may then fluctuate up or down, depending on the current market rates in your area. Typically, rates will escalate and this can cost you a quite a bit. An affidavit is the legal binding written statement that both the buyer and seller are providing truthful information. This must be signed by both parties. This mortgage contract clause will require repayment of the loan's principal and interest upon selling the home and ending the loan. Amortization refers to the principal and interest payments distributed over the length of the loan. An amortization schedule is a timeline that details when costs are to be paid. APR is the method of calculating yearly costs associated with the mortgage loan. This includes interest, insurance and lender fees. This is a mandatory step to take before mortgage lenders issue the mortgage loan. A home inspector must appraise the property's fair market value with consideration of homes in the neighborhood. This process ensures that the loan will match the home's value and seller's asking price. An assumable mortgage is a transfer of the mortgage property and loan to a new buyer. A lender may define in the contract that the principal must be repaid and the new buyer must apply for a separate loan. Assumable mortgages are attractive to buyers if the option is available. This refers to a payment that is exceptionally larger than the previous. Typically, the balloon payment will pay off the remaining balance of the loan. Brokers are licensed professionals that act as mediators (middlemen) in the process of buying a home and obtaining a loan. Mortgage brokers provide a service between the lending institution and the buyer. Real estate brokers help connect buyers and sellers. A buy-down occurs when a borrower pays points up front in order to decrease the interest rate or loan term. The borrower is "buying down" the interest rate. A cash-out refinance alleviates free cash for spending, while increasing the total loan amount that you owe. It is a means of borrowing from your home equity. A chapter 7 bankruptcy will pay off debt in exchange for liquidating assets that you own, including your home. A Chapter 13 bankruptcy creates a payment plan with your creditor to pay off the debt. This allows the homeowner to keep the property if the debt is repaid within a given time period issued by the court. Closing costs are similar to origination fees. This is a fee for services provided during the loan process up until the house is purchased and the deal is final. This refers to a loan that does not exceed loan limits set by Fannie Mae and Freddie Mac. Equity refers to the portion of the property value that the homeowner owns. The remaining balance is owned by the lending institution. (Total Home Value - Remaining Balance = Equity). A home in escrow means that money has been placed into a third party account to pay for the property on the day of closing. This term may vary depending on your lender. The Federal National Mortgage Association is a Government Sponsored Enterprise that purchases mortgages in the secondary market and securitizes them for the stock exchange as a Mortgage-Backed Security. The lender is repaid by Fannie Mae in the event of a foreclosure by the borrower. A fixed-rate mortgage legally binds you to the interest rate locked in on the day of closing. Your interest repayment will remain fixed for the contract terms, usually 15 to 30 years. FICO is the industry standard for determining someone's credit likelihood to repay a loan. FICO stands for the Fair Isaac Corporation that originally created the concept. There are three major credit bureaus that will issue your score and lenders will take the middle value. A foreclosure occurs when a lender takes control of a property from a borrower who has defaulted or missed payments. The foreclosure process allows the lender to sell the property in order to retain as much of the mortgage amount as possible. The Federal Home Loan Mortgage Corporation is a Government Sponsored Enterprise that purchases mortgages in the secondary market and securitizes them for the stock exchange as a Mortgage-Backed Security, like the Fannie Mae program. A fully amortized loan includes simultaneous payments for the principal and interest. Not all loans function this way, and they result in larger payments down the line in order to pay off the loan on time. The lender is required by law to provide an estimate of service fees that will be incurred during the loan origination and closing. This prevents fraudulent charges and assists borrowers with choosing a lender. A home equity line of credit (HELOC) is a mortgage loan that borrows from the equity in your mortgage. This is similar to a refinance, however you do not need to increase the principal amount. This type of loan program exceeds Fannie and Freddie's loan limits, above $600,000. This is available in communities with higher priced properties. A lien is a legal claim held by a second party, such as a bank, against a property or other item. Mortgages act as liens due to the contracts involved. The lender has a legal right to your property if you fail to pay back the mortgage. This ratio calculation divides the amount of the loan by the appraised value of the home. Higher LTVs require less down payment. Fannie Mae's mortgage-backed security is group of mortgages pooled together and packed for securitized stock exchange. MBS stake holders are bond investors. MBS is a safer investment alternative than stocks. A mortgage banker is a direct lender, either a person or a company, with private money to invest in a borrower with the intention of earning profit through paid interest. Mortgage insurance protects the lender from the loss on a loan if the borrower forecloses on a loan. Mortgage insurance is required if the downpayment equals less than 20% of the total loan amount. It is common to pay mortgage insurance for an average of seven years. This can be paid monthly as a mortgage insurance premium (PMI). The mortgagee is the lender, the bank, or financial institution. The mortgagor is the home buyer and loan borrower. Interest accrues daily in response to a low montly payment that cannot satisfy both the principal and interest. This unpaid interest becomes part of the loan balance. This is how the lender charges for their service and costs associated with originating the loan. The fee is typically determined as a percentage of the loan. It may be stated in points. This stands for principal, interest, taxes and insurance. These four components make up the total monthly payment towards your mortgage loan. A point is equal to 1% of the total loan amount. Lenders often allow borrowers to pay a certain number of points up front in order to secure lower interest rates or better loan terms. A pre-approval letter is a vote of confidence that you'd be approved for a loan from a lender, based on verified finacial information. A pre-qualification allows you to determine the loan amount you qualify for based on unofficial informatio provided to a lender. This is a fee that accrues when a borrower pays off a loan early. Lenders make money from interest on loans and they often include this fee in mortgage contracts in order to mitigate the loss of interest due to early repayment. The prime rate is the underlying market interest rate that the lowest mortgage rates are based on. Adjustable-rate mortgages vary based on the prime rate. 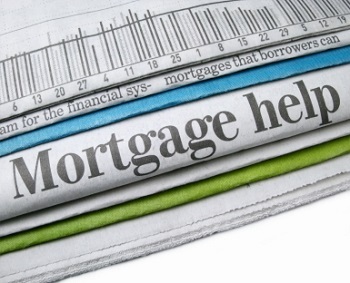 Private mortgage insurance or PMI insures the borrower against the possibility of default. Borrowers who cannot put down 20% on the loan will be required to pay private mortgage insurance premiums. A refinance is the modification of your current loan terms for your mortgage. Refinancing is often used to lower monthly payments, negotiate a lower interest rate or remove an ex-spouse from the deed. A reverse mortgage is available to seniors citizen homeowners and allows them to convert the equity in their home into additional monthly income. The concept suggests that the lender will be repaid when the home is sold after the homeowners have passed. The secondary mortgage market is an industry that buys and sells mortgage loans. This transfers the ownership of mortgage from one investor to another during the life of the loan. Underwriting is the review process for lenders to finalize all aspects of a mortgage. All aspects of your application will receive thorough inspection.